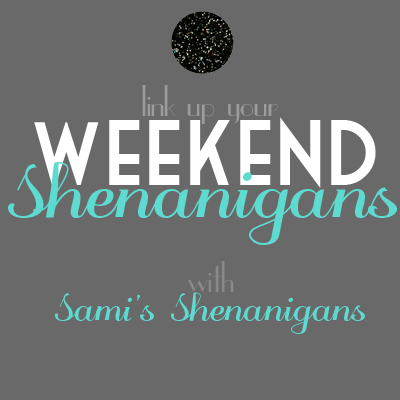 Linking up with Sami to recap the weekend! Friday night Brian and I made Mac and Cheese and watched movies all night. That's right we ate Mac and cheese and only mac and cheese for dinner. So Healthy. And this was not box Mac and Cheese. It was home made with lots of love if you know what I mean, and baked off till it was perfectly gooey. It rained cats and dogs here on Saturday and I would have loved to stay in my pajams all day with Brian and Ms. Daisy but I was stuck at work. It was Hell. After work the Bunks went to Target for a few essentials toilet paper and left with way more stuff then we came for. That always happens at Target for some reason! But I did get the best smelling candle ever and some essie nail polish! Brian's favorite movie is Top Gun and every time we look to buy it, it's never in stores! But we finally found it! I wanted to buy Clueless but Brian said I didn't need it. Thanks a lot. But it was beautiful outside so we got some steaks and grilled out. Coronas and Straw-ber-ritas (My favorite drink btw) and on top of the cooler was Clueless. He went back and got it for me! He really is an angel! And that's how we spent Cinco De Mayo! I love that nail polish! It's in the same vein as the trend right now, MINT. Also, it sort of matches the colors of your blog. Sort of - it's a little darker, but I think it's the same family. :) It's very pretty.